There are three primary zones of production in the Douro for Port. The Baixo Corgo region where Regua produces lighter wines due to the cooler, wetter weather it experiences and represent 45% of Douro’s plantings. As you travel further inland to Cima Corgo, the weather gets a little warmer you will find the town of Pinhao where the vineyards here account for 40% of ports production. Furthest to the east is the hottest and driest zone Douro Superiore which accounts for 15% of Ports production. The vineyards in this region are among the most highly classified in the world. There are approximately 90,000 acres planted, owned by 30,000. You will be introduced to the 5 main grape varieties used in Port. Touriga National which accounts for just over 2% of the region’s vines. Touriga Franca which accounts for 22% of the vines planted. Tinta Roriz also known as Tempranillo accounts for 12% of the regions vines. Tinta Barroca accounts for 23% of the vines and Tinta Cao which is somewhat rare and accounts for only 1% of the vines. Your Passion for Port tour begins in Porto as you focus on the historic side of Port. You will visit famous names as Taylor Fladgate, Grahams and Kopke. You will take a nice walking tour where you will get your fill of history, cathedrals and an outdoor food market. The second part of your tour you will travel up the river to Cima Corgo and Douro Superiore. Here you will visit a variety of wineries that produce both Port and dry wine. 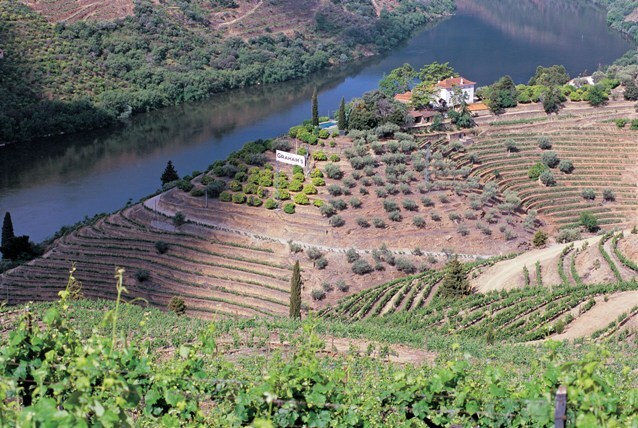 You will receive a great overview of the winemaking in the Douro Valley. If you are interested in the wines of Portugal this trip is something you would want to consider. The 5 day trip is from September 16 – 21, 2012. The cost includes accommodations, 4 dinners, 1 lunch, all wine tasting, walking tour, scenic train ride along the Douro from Pinhao to Vesuvio and river cruise in Oporto. For more information and detailed itinerary and price click here.